Implementation partners, solutions and services providers, and marketers need to rely on multi-dimensional marketing when it comes to promoting high-value technology products such as Lawson ERP. With Blue Mail Media’s list of Lawson ERP Users Mailing List , you can truly enable your multi-channel marketing efforts, enhance customer interactions and generate quality leads. You can avail our pre-packaged Lawson ERP Users List or you can order a customized list based on selects specific to your marketing requirements. We will go an extra mile to serve you, get in touch today! Our team of data scientists, analysts, and experts work meticulously to accumulate data from global technology markets such as North America, Europe, ASIA, Australia, New Zealand, Africa, Middle East and South America. Blue Mail Media’s Lawson Users Email Database has been created keeping mind the multi-dimensional challenges of marketers. 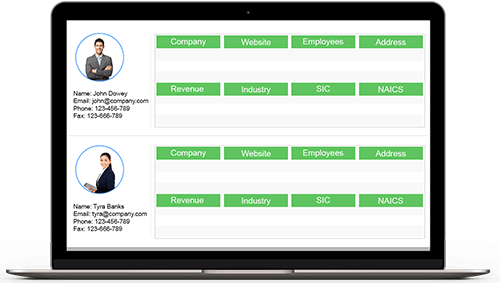 The list allows marketers to carry out their multi-channel marketing campaigns flawlessly and connect with their target audience via telephone, email or mail. We keep updating our data with latest feeds at regular intervals so that marketers achieve increased responses, conversions and returns on investment.